Following the collapse of the banks in the early 1890’s the Vtorian Government of the day set aside land for settlement by impoverished families. A square mile of land in the Wonga Park Cattle Station, now the area around the General Store, was proposed as a village settlement. As several of the settlers were involved in the Eight Hour Day Movement, the settlement was called “The Croydon Eight Hour Pioneer Village Settlement”. The residents of the new settlement requested a school. A school building was removed from Braybrook Junction and re-erected in Dudley Road. It was opened on November 6, 1895 with Ida Body as Head Teacher. It was then known as Warrandyte East Primary School. 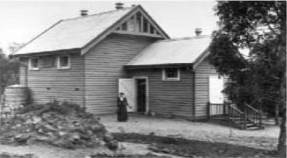 The name was changed to Wonga Park Primary School in March 1898. The original name for the settlement had gradually fallen out of common use and the name Wonga Park or The Village was adopted. On April 5, 1911 fire destroyed the school and a new building was erected at a cost of 370 pounds. The twenty students moved into their new building on March 11, 1912. The building is now our administrative wing. As enrolments increased, the building was extended then additional portables were added. 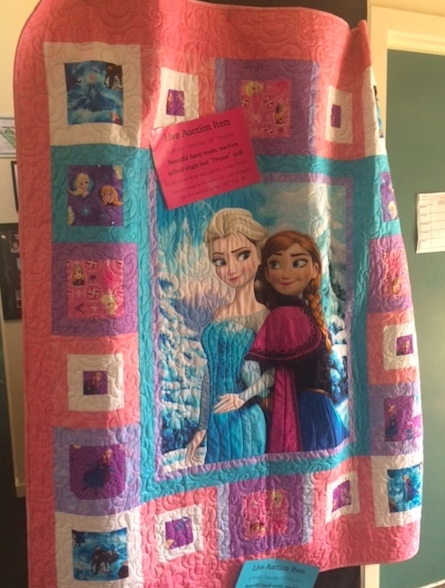 A new double classroom, built as a fire refuge for the area, was added in 1990, and the school has acquired a large library and a multi-purpose room. Wonga Park Primary School's Centenary was celebrated in 1995. A $1.1 million major building upgrade was completed in 2002. This included four new classrooms for our Level 1 & 2 students, new centrally located toilets and improvements to the administration block. Construction of a new wing for our Level 5 & 6 students opened in 2011 with 4 classrooms a library and LOTE room. 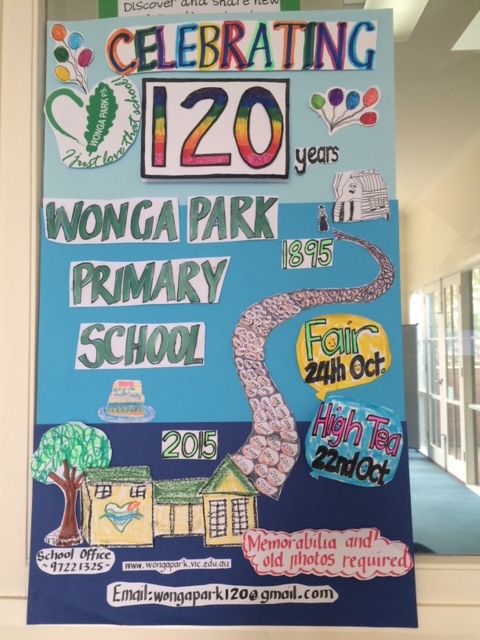 Wonga Park Primary School held a fair to celebrate 120 years in the community. This fantastic event was about celebrating and showcasing our wonderful school and bringing people together, especially those from the local community, for a fun filled day of live music, entertainment, great food, rides, silent auction and fireworks, something for all the family!